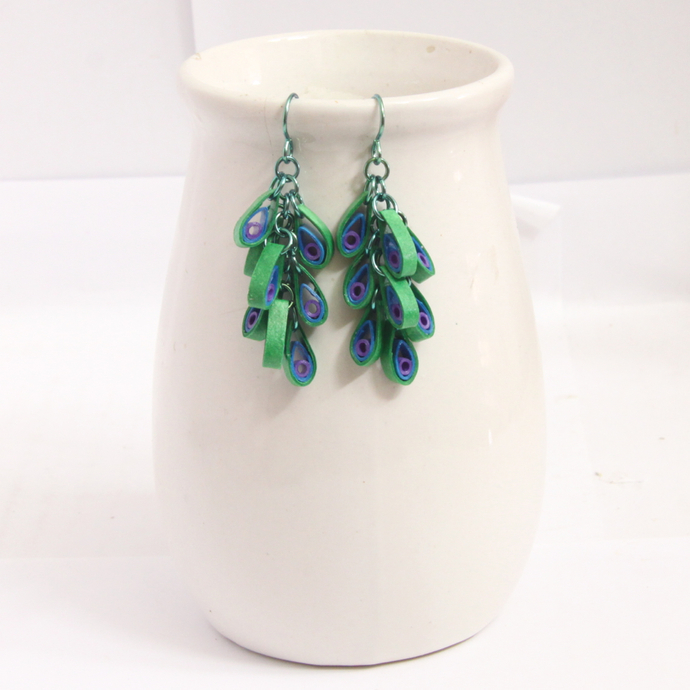 Colorful, unique, and beautiful, these peacock cluster chain earrings are eco friendly (made from paper! ), handmade, and sure to be noticed! 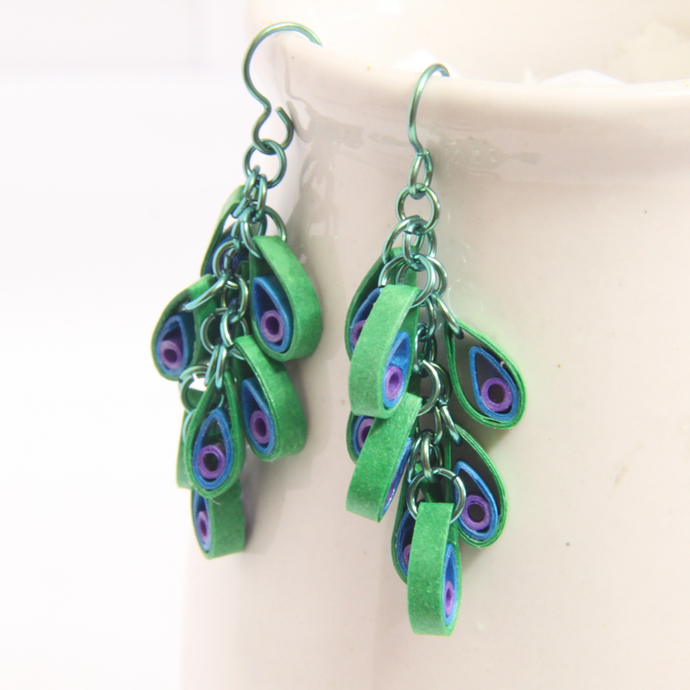 They are inspired by the colors of peacock feathers, one of my favorite animals. 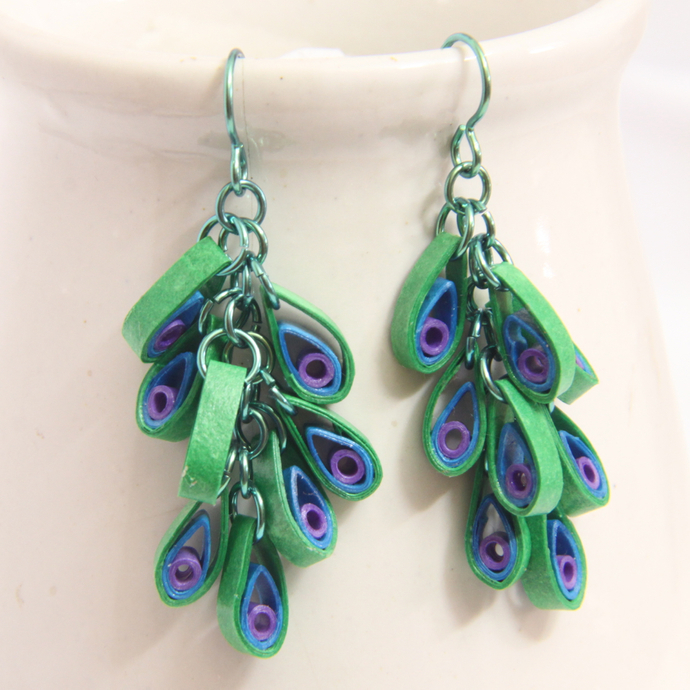 These earrings have niobium findings. Why niobium? it is non tarnish and hypoalletenic, my favorite findings! They are very high quality. 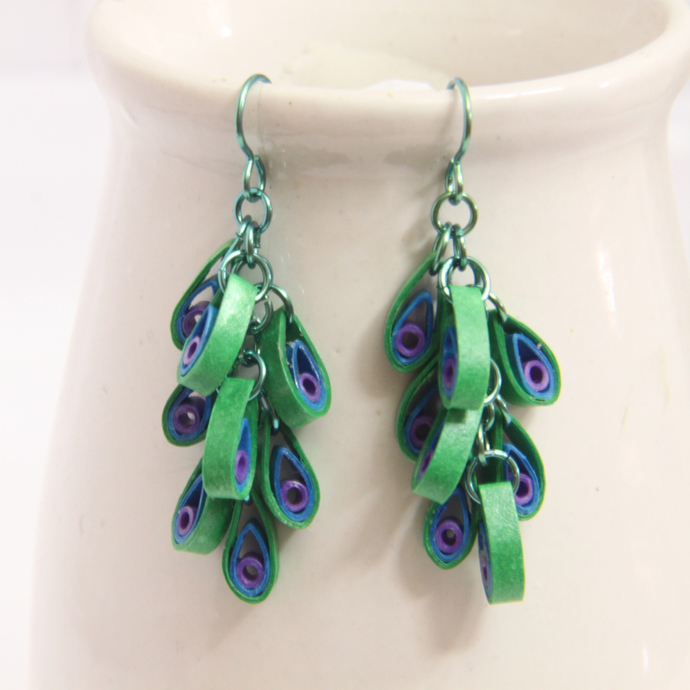 The green color of this niobium is a perfect match to the peacock theme! The shapes are hand varnished with non-toxic water-based sealants for a sturdy, water resistant finish. 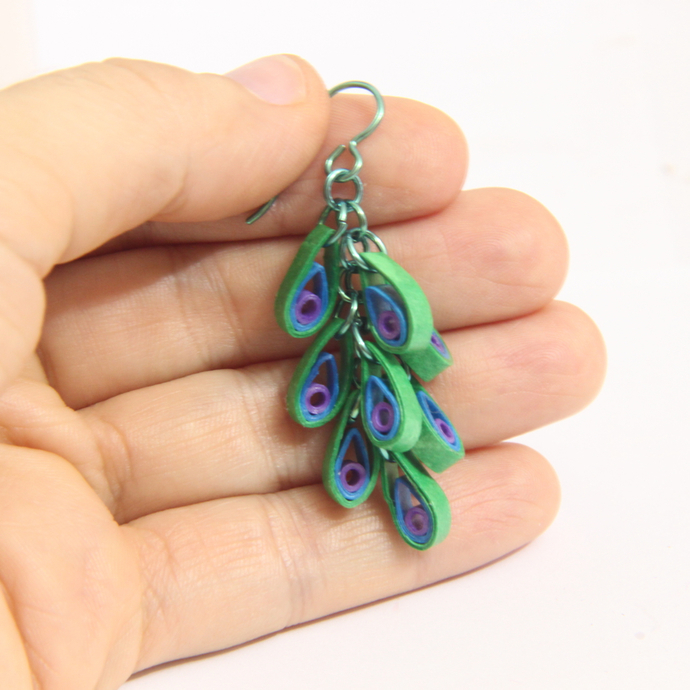 Each earring measures 1 1/2" (4cm) long. If you like the design, but prefer a different color, let me know and I can make you a pair in any color (or combination of colors) you wish! Simply purchase this listing and let me know in the notes during checkout what color(s) you'd like!